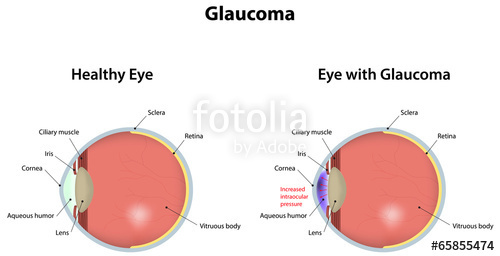 HomeAbout Vision & LensesWhat Is Glaucoma? Glaucoma is a series of eye conditions related to damage of the optic nerve. The optic nerve is damaged due to a build-up of pressure in the eye. Chronic open-angle Glaucouma- A form of glaucoma which is a very common. Occurs due to a build up of pressure in the eye caused by a blockage of the tubes that allow fluid to flow naturally from the eye. Loss of side vision and tunnel vision are symptoms of tghis type. Acute angle-closure glaucoma– This occurs an acute blockage to the flow of fluid from the eye. It causes bluriness, severe pain, altered vision. Nausea, red eyes, headaches and vomiting are symptoms. Secondary glaucoma – Eye injuries, operations or medications may also cause an increase in eye pressure which leads to secondary glaucoma. Developmental glaucoma (congenital glaucoma) – Caused by an abnormality in the eye which may occur at birth afterwards. 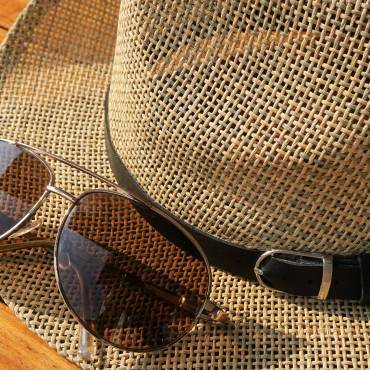 Sensitivity to light, and cloudy or teary eyes are symptoms. A cure for Glaucoma has yet to be discovered, however it is manageable. Permanent damage to vision maybe caused if left untreated. Open-angle glaucoma can be treated with oral medication, eye drops, surgeries and drainage implants helps to mnimize the damage by reducing the pressure build-up in the eye. Closed-angle glaucoma should be dealt immediately by consulting specialists to prevent permanent blindness. Eye care experts should be consulted to treat all types of glaucoma.